Airline big data, combined with predictive analytics is being used to drive up airline ticket prices. As airlines and their frequent flyer programs gather more intelligence on your day to day lifestyle, flying and financial position – they begin to build an airline big data profile. Consumer interests, goals, psychometric assessment, your motivations to engage with a brand at any given every point throughout the day, what has driven you to purchase in the past – and most importantly – where your thresholds are. To illustrate how data is playing a growing role in today’s flight booking engines I’ve broken down play by play how each piece of data collected about you can be used, analysed and overlaid with other datasets to paint a picture of who you are, what motivates and drives you to purchase a particular product. 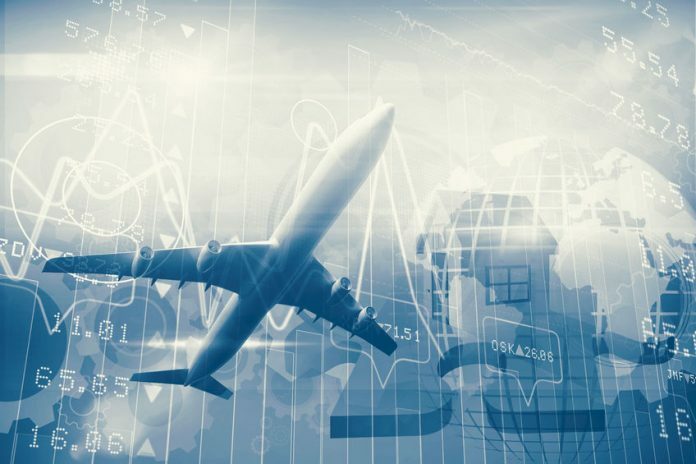 Every day – trillions of calculations are number crunched to transform this goldmine of data opportunity into real, tangible high revenue opportunities for the airlines and their frequent flyer programs. Consider the following scenario – the airline already has access to all of the information and examples are given below. Your current physical geographical location, where the airline thinks you are based on flight activity, the last known location you engaged with a flight search, the last location you opened an email or performed a flight search, device type you’re searching from and time of day – are all pulled into the flight query – in real time and used to cross-pollination the data metrics. Above is a visual representation of the user flow and how various data sources play a role in calculating real-time predictive metrics to present you with the right offer at the right time. 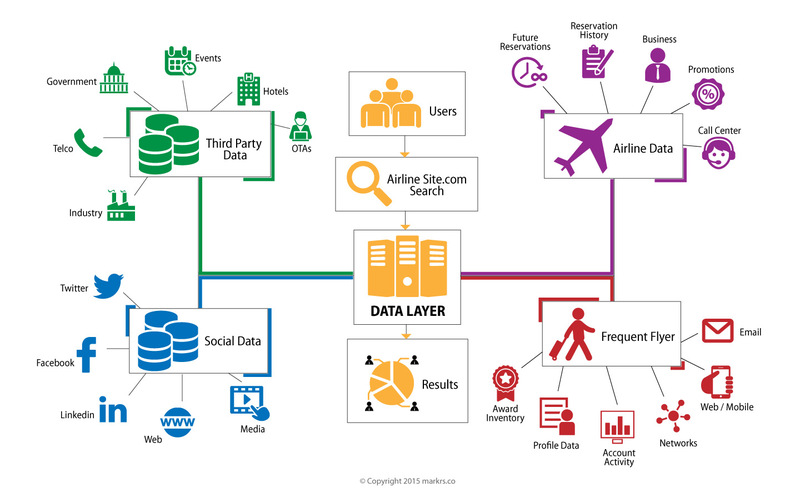 Airline big data modelling is big business, and it’s driving new revenues for airlines and their loyalty programs. Armed with this treasure trove of information, the airline CRM and Reservation systems kick into overdrive during your search. The system then pulls the percentage% chance of you matching or engaging with any data point based on the search query. Essentially the data is making an intelligent response on how you will buy/not buy based on all the available data. Behind the scenes – each piece of data has a score, and the categories each sub-segment of data sits in will have an attached weight to the data – which is entirely dynamic and changes every day depending on other internal and external variables which constantly change the outcome. For example, tomorrow 1,000,000 miles hit your account; you make a complaint via phone; you’re delayed by 42 minutes on another flight with another carrier not affiliated with your home airline – this information will all change the internal scoring metrics for each individual subset of data profiled about you. Of course, this will help improve other divisions in the airline and not only in direct online reservations. If the airline knows you’re always delayed on flights you’re taking with other carriers; you will magically start seeing wording such as “We have 98.9% on-time performance on flights over 4 hours! ” Sound familiar?” The overall result to you – the customer – is seamless. You have no idea trillions of calculations are running in the background. This is what airlines refer to as the holy grail of big data – you’re a happy customer and the airline can extract additional new revenues from you in a meaningful and measured manner. This creates new high revenue opportunities without the need for additional capacity. Revenue Management on steroids. This scenario and many more like it are all possible today. Major airlines around the world are making significant investments into predictive analytics and data mining where the rewards are happier customers, a more streamlined booking process, higher RASK/RASM and ultimately record-breaking profits reflected on the bottom line.